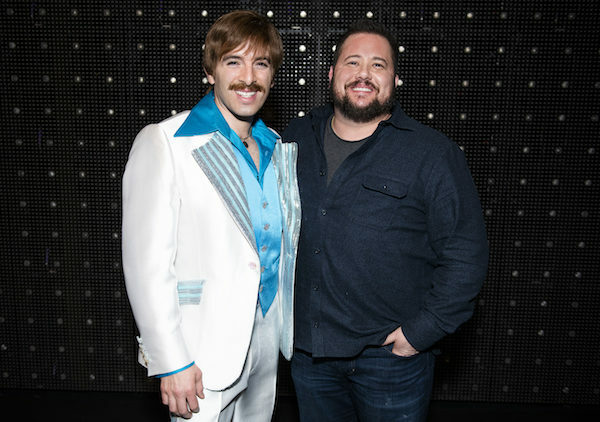 Chaz Bono paid a visit to “The Cher Show” on Broadway on Jan. 5 and met with members of the cast who portray his real-life parents. After the show, Bono met with Stephanie J. Block, Teal Wicks and Micaela Diamond, who all play Cher at various points in her life; Jarrod Spector, who portrays Sonny Bono, and the rest of the show’s cast. “The Cher Show,” directed by Jason Moore and written by Rick Elice, tells the life story of Cher’s rise to fame and takes the audience through the different eras of her career. It also features plenty of Cher’s hit songs. Check out more photos of Bono visiting the cast below.